Our design staff will design a beautiful retreat for you to escape and relax in Columbus, Ohio. Raised beds add a dramatic look, defining your landscape. The softness and textures of plants, shrubs, grasses, and trees compliments hardscape elements such as paver patios and wood structures. Landscape plantings add interest year round, will soften and add interest to straight lines. Add the correct amount of mulch to discourage any unwanted growth, helps plants maintain moisture, and gives your landscape the look you desire. MLH Design & Build’s cutting edge landscape designs create tranquil gardens for you to meander and take in nature. Our 3D design center allows you to plan and view your picture perfect landscape before it’s a reality. Visit our landscaping photo gallery. Outdoor lighting adds a year round effect on your Columbus, Ohio home highlighting your homes unique architectural features for a night time of ambiance. LED pathway lights and upward LED spot lights showcase your trees and landscape. 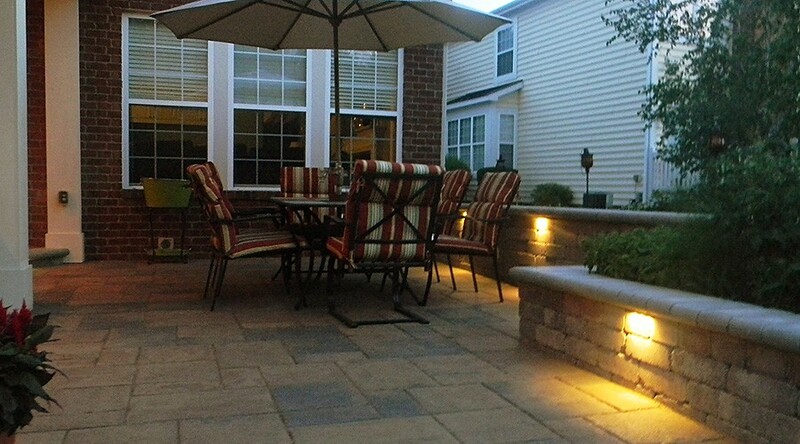 Accent your seating walls, retaining walls and hardscape projects with LED lights. LED lights visually enhance your paver steps ensuring safety. Distinguish your outdoor kitchen island with under the granite countertop LED lighting. MLH Design & Build’s high efficiency LED lighting system creates an elegant space for your entertaining needs and allows you to enjoy your paver patio and outdoor space at night. Visit our outdoor lighting photo gallery. 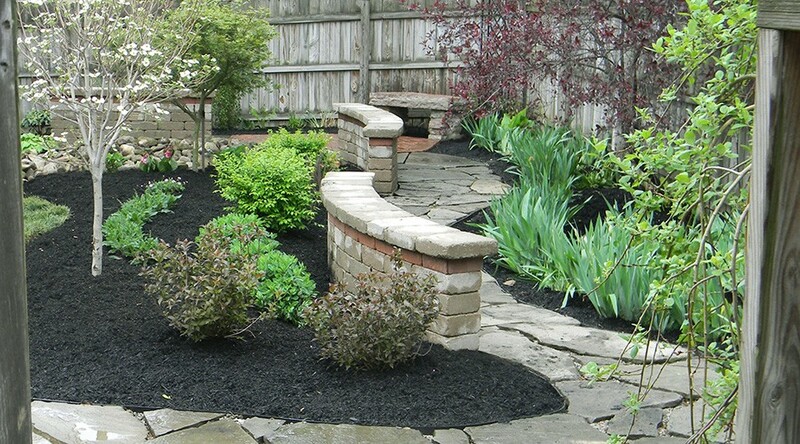 Garden walls and retaining walls are made of natural stones or concrete materials. These walls will add a dramatic affect to your landscape and home, achieving both elevation and beauty. 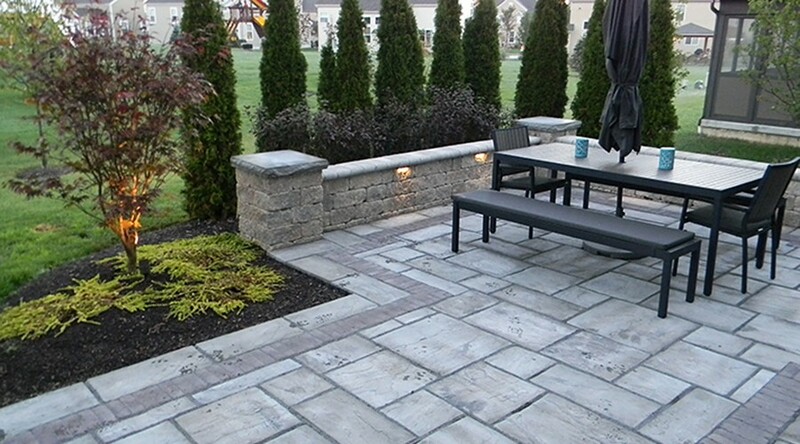 MLH designs and installs custom inlays and low voltage LED lighting in your retaining walls to create an unforgettable look and highlight your landscape and paver patio. Garden walls created of natural stone, adds depth and elevation to your landscape garden. Create a destination in your landscape with a stone bench. Seating walls along your paver patio will increase seating capacity for your entertaining events, add an outdoor pillow for a slice of serenity. Terraced retaining walls will change the landscape claiming unusable land and transforming it into usable space that perfectly fits the architecture of your home and landscape. All materials and installation processes are of the highest standard, MLH exceeds manufacture requirements to ensure the life of your hardscape investment and we guarantee it. Visit our paver patio photo gallery.